A postdoctoral scholar position to apply genomic approaches to understanding the ecology and evolution of oomycete pathogens and their plant hosts is open in the laboratory of Drs. Andy Jones, Nik Grunwald, and Brett Tyler at Oregon State University. The NSF-funded Dimensions of Biodiversity project is entitled “Dynamical interactions between plant and oomycete biodiversity in a temperate forest”. The overarching goal of the project is to examine the role of native oomycete plant pathogens in maintaining tree species diversity in an old growth forest in the Pacific Northwest. Oomycetes, or water molds, are highly destructive plant pathogens, well known for causing the Irish potato famine and sudden oak death. Though known as agricultural pathogens, oomycetes are diverse organisms that are native to and abundant in many forest ecosystems. However, less is known about the ecological roles that oomycete pathogens play in natural forest ecosystems. This project will examine three dimensions of oomycete and plant interactions: (i) document the oomycete species present in the Wind River forest in Washington, (ii) determine the functional ability of each oomycete species to infect or limit the growth and survival of abundant and rare plant species in the forest, and (iii) use genetics and genomics to determine how oomycetes adapt to different plant hosts. A particular focus will be on the role of endemic broad host range oomycetes, and how their interactions with dominant and less abundant host plants may differ. Research will involve field collection of samples (plant and oomycetes), and lab work including genotyping and genome sequencing using Illumina techniques, data assembly and annotation, and population genetic and genomic analyses. The applicant will work closely with the project PIs, graduate and undergraduate students, and technicians and will be responsible for project coordination in the lab and field, analyzing results, writing manuscripts, and contributing to the development of research approaches and directions. The applicant is required to have a recent relevant Ph.D. in the biological sciences related to population genetics, ecology and/or evolution, with expertise in the lab and field. Required skills include experimental design and knowledge of population genetics. Experience with R, python, or other programming environments is required. No prior postdoctoral experience is required. The position will be renewed annually, dependent upon achieving project goals. 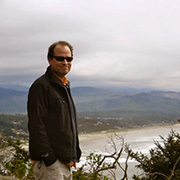 The position is based at Oregon State University with fieldwork in Southern Washington state. Therefore, the position requires a willingness and ability to travel for extended periods of time. To be considered for this position, send as a single pdf, a CV, copies of up to three relevant publications, a cover letter that includes future professional interests, and the names and contact information for three references to jonesfr@science.oregonstate.edu. Please include “Oomycete Plant Interaction Postdoc” in the subject header. Informal inquiries are welcome at the same address. More information can be found at http://blogs.oregonstate.edu/joneslab/. Review of applications will begin February 21 and will continue until the position is filled.